“If you know the enemy and know yourself, you need not fear the result of a hundred battles.”- Sun Tzu, The Art of War. It is an important task for a sportsperson to respect their opponent and gauge the skillset against which they’ll be competing. In such a case, it is no flaw to admire those that excel in the field. In fact, young players could certainly benefit from such a task, as it would go a long way in molding their own abilities going forward. Marcus Rashford imbibes such a quality quite well, as illustrated in a recent interview. The Manchester United forward, while speaking to GQ, was quizzed about whether there’s a Premier League striker whom he admires. 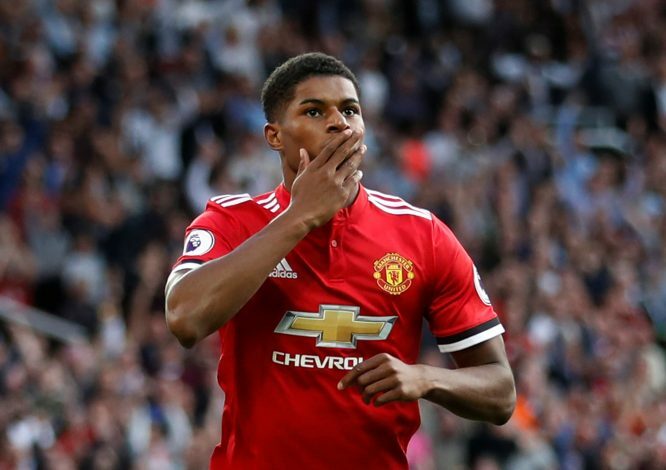 Rashford has flourished quite well under Ole Gunnar Solskjaer, with the youngster enjoying his highest-scoring season in a United jersey. What is remarkable is that he is still represented in the U-21 slot on Manchester United’s official roster. Speaking about the risks of attacking football, Rashford adds: “He [Solskjaer] has come in and the first thing he was going on to us all about was playing forward, and playing forward when you see the pass.